An increasingly high number of retailers are making more profit from selling the popular Residence 9 window to home owners across the UK, thanks to an advanced manufacturing technology used by a Lincoln-based fabricator. The StyleLine Residence 9 from Sternfenster combines the highly sought-after looks and handmade quality of a traditional timber window, with the price advantage of quick and cost-effective manufacturing. This unique version of R9 is quickly becoming a firm favourite with installers, as more are discovering the quality of the seamless corner weld, and how easy it is to promote it to the style conscious end-consumer. “The StyleLine R9 is different from both the mechanically jointed, as well as the standard welded windows. Although it is technically welded by machinery, the quality of the finish is so high that it places our StyleLine Residence 9 in a class of its own. The perfectly smooth finish is the result of a manufacturing process that welds the frame segments on the inside. 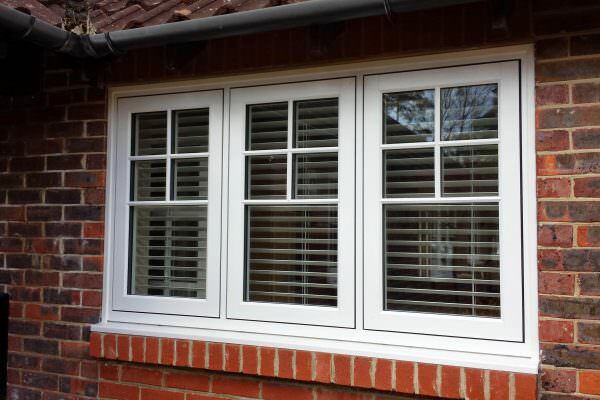 This means there is no need for grooving, and no loss of material at the corner joint, making the StyleLine Residence 9 windows not only great looking, but also stronger and more durable. Sternfenster is the only UK fabricator to supply the Residence 9 window in three versions: with mechanical joints, standard weld, and the all-new StyleLine finish.